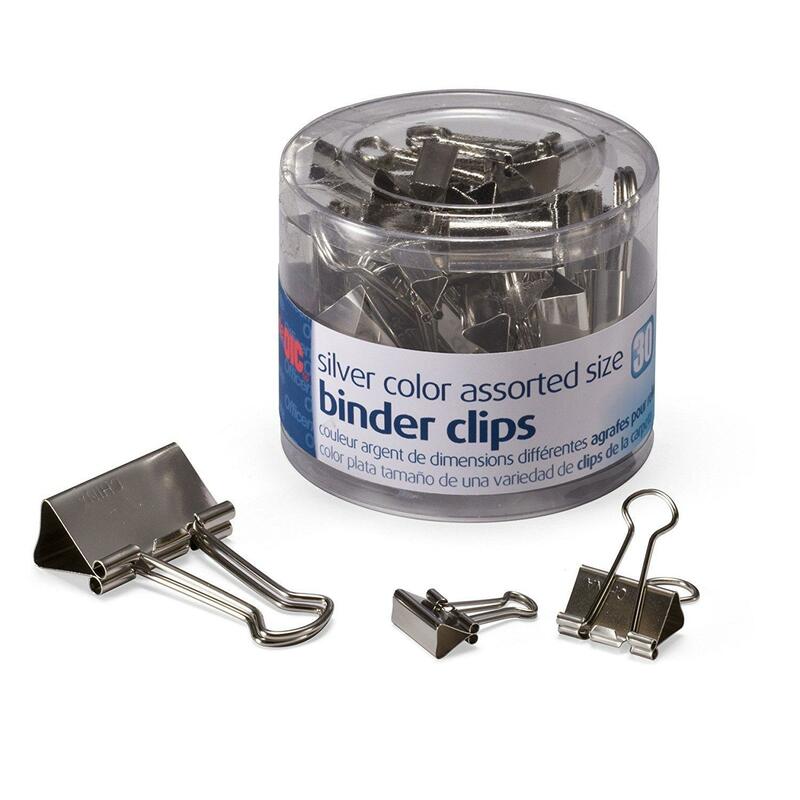 Amazon is offering the 30-Count Officemate Silver Binder Clips (Assorted Sizes) for the best deal. just ask some one that works in an office for some. I got them coming out my eyeballs.